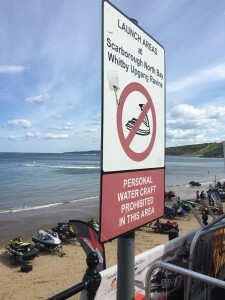 Scarborough P1 Powerboat and Jet Ski Championship – The video shows a few short clips from the fantastic P1 Powerboat and Jet Ski Championship which was held on Scarboroughs South Bay at the end of May 2015. The whole video is exciting but make sure you watch the world record attempt of the most consecutive summersaults on a stand up Jet Ski at 1 minute 25 seconds. 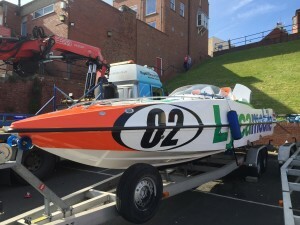 This is the first time Scarborough has hosted the Dale Power Solutions P1 Grand Prix of the Sea. The weather was perfect and the sea was calm. 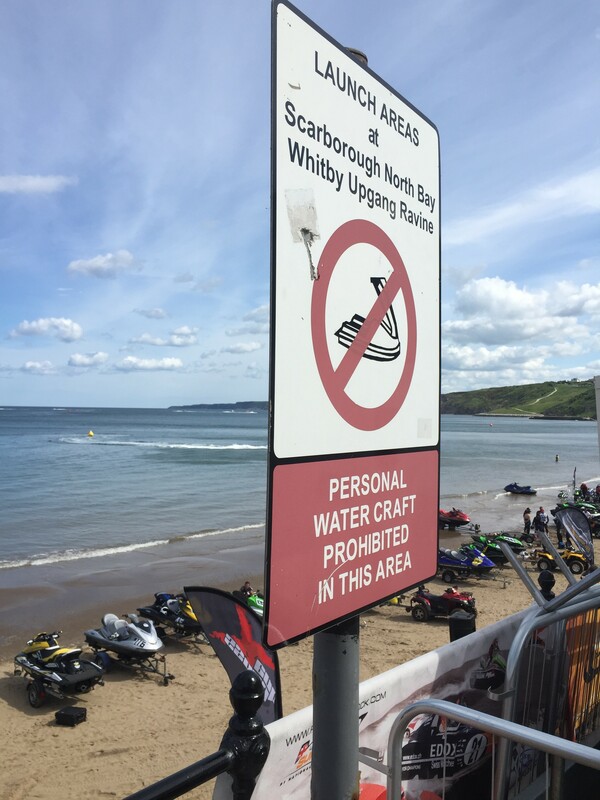 1000’s of people turned out to the free event in sun drenched south bay of the famous Scarborough coast line. Whilst the calm seas are ideal for the racing, the stunt riders rely on a bit of chop to act as ramps to help them get into the air. One way of creating your own ‘chop’ is to ride in a large circle, the wake from the ski will eventually meet in the middle causing enough chop to create some lift, but it doesn’t last for long. 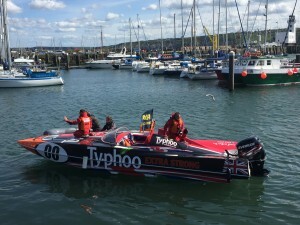 The Jet Ski’s are also highly modified to perform these stunts, extra bilge pumps are added as these boys spend a lot of time under water, also the impellers are replaced from the stock ones to performance ones that provide much more low end power. The elite of the powerboat and Jet Ski world came together to put on a spectacular day of racing and stunts to impress the crowds.